Oscar Wild was one of the gifted poets and play wrights in the history of English literature obviously he dominated it since the middle of 19th century in England. He was born in Dublin in 1854. His father was an eye-surgeon. Francesca Elgee was his mother. Wilde was a protestant. He was famous for his behavior and style in public life. He severely jolted victorian narrow-mindedness. His education was started in his native land. He continued his study at Trinity college and later he went to Magdalene Oxford for higher study. The year 1882 was a remarkable period for Wilde. He gave a year lecture tour throughout the USA. During this period he traveled all over Europe and met a lot of new people and made them friends. When he came back to London, he married Costance Lloyd. He had two sons from her. Oscar Wilde belongs to the Victorian age. In fact this period is famous for a lot of innovations in every field. Not to ask about culture, politics and economic of the period there was a dramatic improvement in science and technology. The period shows a lot of modern ideas and inventions. This period is also famous for the works of Drawin, Marx and other important authors and thinkers. In the field of literature the works of Oscar Wilde are remarkable. They embody the period called "decadence" or "aestheticism" . It was a kind of literary movement and resembled the Italian "estisaono" or "decatentisno". He thought that nothing in literature could be treated as the mere principle of art for art's sake. With regard to the aesthetic movement it can be said that it has made invaluable contribution to English literature. Obviously, it was born in France but heavily created a deep impact on England. As a result, it created a kind of literature in England which severely reflected on the theme of beauty, Oscar Wilde has contributed some remarkable works to this period. 'Revenna,' a beautiful poem helped the contemporary literary world recognize his prodigious talent and fetch him the New deligate prize for the same work. He completed 'patience' and published it in 1881. After two years he had published the play, "the Duchess of Padna." Among his other famous works, "The Picture of Dorian Gray" published in 1980 is considered to be the most controversial in English literature. In this book he has attacked the hypocrisy of England In the present novel, the Canterville Ghost, Wilde excellently compares modernity to ancient thought, dogmatism to rationalism. In this connection we can also count "THE HAPPY PRINCE" and "THE SELFISH GIANT" written by him as the other important works which have left a deep impact on the leaders. Obviously he has enriched English literature in various ways and his name will never go into the world of oblivion. Wilde, certainly, lived a royal life. His arrival in America had stirred the whale nation with his flamboyant personality. He always wore silk stocking and long flowing hair which gave the people the impression of a general air of wittiness, sophistication and eccentricity. He had persented himself on the world stage as a man of style. He rather tried to prove that style is the man. 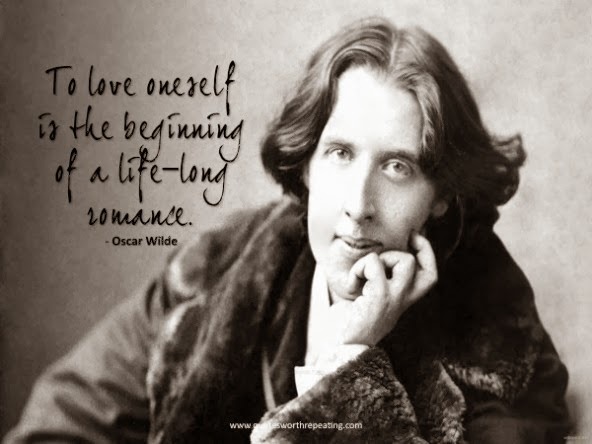 Oscar Wilde breathed his last on 30 November, 1900.